OK people, there are now less than 100 days until Christmas (yes, I know – too early – but you clicked on the link my friend!). Over the years I have shared a number of crafts and free patterns with a festive theme. Here are my favourites, gathered together in one place to make life easier for you. Two: The Christmas tree garland, perfect for advent or for hanging over the mantel. Three: The perfect gift for everyone, the variable cowl that suits men and women – jazz it up with amazing buttons! Four: Paper chains – the epitome of Christmas – pictured in this post in red, white and blue – make them to suit your festive colour scheme. 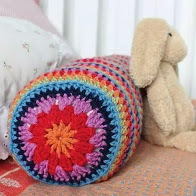 This free pattern can easily be tackled by a beginner. Five: Make a wreath for the front door (yep, it’s that mistletoe pattern again! Six: On the subject of wreaths, this bright bauble wreath is still one of my most popular downloads. Seven: These impossibly cute elfin booties, which do actually fit a newborn! 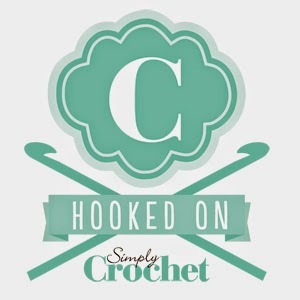 Find the free pattern on Love Crochet. Eight: What about these felted baubles? The pattern comes with full instructions and you can decorate them with embroidery, stick on beads, sew buttons or sequins – whatever makes you happy! Nine: Still looking for gifts to make? Check out the sidebar for links to hats, scarves and cowls you can easily make in a few evenings. Ten: Everyone loves pretty packaging. So, use this free gift bag pattern and crochet up your own sustainable wrapping this year. Decorate with felt holly leaves and beads, crochet mistletoe, stars or just use ribbons and a home made tag. There’s a reason this is my most popular free download. It is so easy to adapt and works! Eleven: This crochet messenger bag works in any chunky yarn and I know lots of friends and family who would love this – get the pattern from Eden Cottage Yarns on Ravelry. Twelve: Finally, an old pattern.These cute gingerbread men look adorable on the tree. The pattern can be downloaded for free on Ravelry. 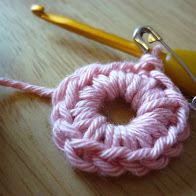 I hope you try at least one of these – and if you do – share a photo on Instagram using the hashtag #grannycoolcrochet.